Story​ updated​ Nov.​ 3,​ 2017. Many for-profit hospitals stand to win big from the CMS' decision to cut 340B drug discount program payments by $1.6 billion, as those savings get redistributed across the board. The agency issued its final rule on Wednesday revising Medicare's hospital outpatient prospective payment system for 2018, shifting 340B reimbursement payments from 6% above the average sales price to 22% below the average sales price. The savings generated from the 340B cuts will be used to raise the payment rate (excluding drugs) for all hospitals by 1.35%. For-profit hospitals, which are not eligible to participate in 340B, stand to gain a substantial 4.5% increase in their pay rate as a result of the program's payment decreases. "So that net ends up being a redistribution from 340B hospitals to non-340B hospitals," said Joanna Hiatt Kim, vice president of payment policy for the American Hospital Association. The AHA, along with America's Essential Hospitals and the Association of American Medical Colleges, said Wednesday that they plan to sue the CMS over the rule change, claiming it's an overreach of the agency's authority. Overall, all hospitals are expected to see an average net benefit in their payment rate from the 340B change, according to Michael Newshel, a healthcare analyst at investment banking advisory firm Evercore ISI. In an investment note Wednesday, Newshel warned that while some 340B hospitals would see gains as the overall payment increase offset cuts in the drug program, others that rely more on the savings they receive from the drug discounts, would likely experience a net loss. "It will vary from facility to facility, but as a whole the not-for-profits are still seeing a positive payment increase," Newshel said. Yet Kim expressed concern that the 340B payment cuts could overburden safety-net providers with scarce resources to the point that many would be forced to reduce services to stay afloat. "By implementing this drastic cut in their payment rates CMS is completely undermining the intent of the program," Kim said. Congress created the 340B drug-pricing program in 1992 to help hospitals that serve disproportionately large numbers of low-income patients. At that time only 1% of hospitals participated in the program. The program has seen a sharp rise in the number of covered organizations over the past decade, thanks in part to its expansion under the Affordable Care Act. By 2014 an estimated 45% of all Medicare acute-care hospitals participated in 340B, according to a 2015 overview of the program by Medicare Payment Advisory Commission. Critics of the program say its growth has led to abuse by some providers. 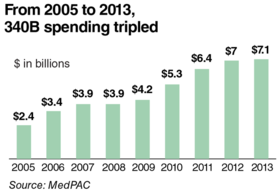 A 2015 report by HHS' Office of Inspector General found that 2013 payments for 340B drugs totaled $3.5 billion, which resulted in hospitals retaining $1.3 billion of those funds. "CMS' policy change is a great first step in reforming 340B and reducing drug costs for seniors, but more is needed to corral this out-of-control program," said Dr. Jeff Vacirca, president of the Community Oncology Alliance, in a written statement praising the rule change. "I see it firsthand in New York, and hear from colleagues across the country all the time, how patients are being taken advantage of by hospitals, not helped as the program was intended." 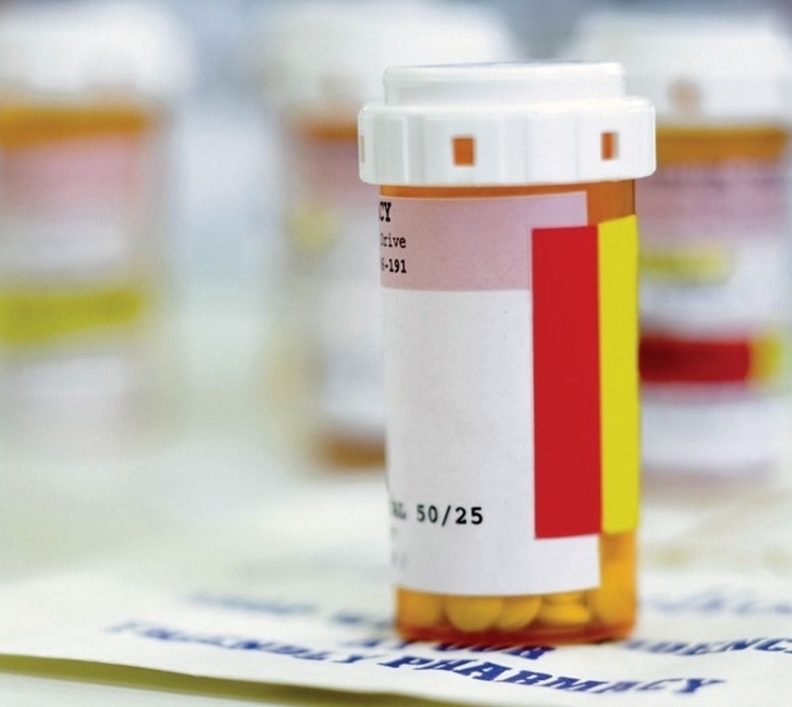 Proponents have argued that the 340B cut will lead to a reduction in healthcare services and programs for the nation's most vulnerable patients. Many lawmakers have also expressed concern over the move. Last month, a bipartisan group of House and Senate members wrote letters to CMS Administrator Seema Verma urging her to not to go forward with the rule over concerns of the impact it would have on provider in medically vulnerable areas. The rule change will go into effect Jan. 1. A spokesman for the Federation of American Hospitals, which represents some of the country's largest for-profit providers, declined to comment for this story.